"First, we need to focus on solutions that work, such as opening the Federal Background check system to all Americans. It used to require a private investigator to find out if someone had a criminal past. In 2019, everyone should be able to easily find important background information on a person with whom they intend to do any type of business. People should be able to readily access this information to keep themselves and their families safe. Providing all Americans access to this data will exponentially increase the number of background checks conducted, thereby providing a far more comprehensive level of assurance. Secondly, the claims by Everytown amount to nothing more than thought crimes. There is a reason that our laws require action in addition to intent. The transactions did not take place, and the chasm between thought and follow-through is vast. Claiming that someone "would have done something criminal" is irresponsible, and in this case, inaccurate as well. That is why legitimate research, as done by the GAO, shows that it is essentially impossible to find an American willing to break the law in the way Everytown suggests. Despite the "shall not be infringed" language in the Constitution, this is already the most regulated civil right in America. Just to reiterate, Armslist does not sell guns, we merely allow individuals to talk about this vital civil right because so many web companies have chosen to disenfranchise this entire portion of our population." How is it republicans have the House, Senate and White House, for 2 years and without passing pro second amendment legislation? 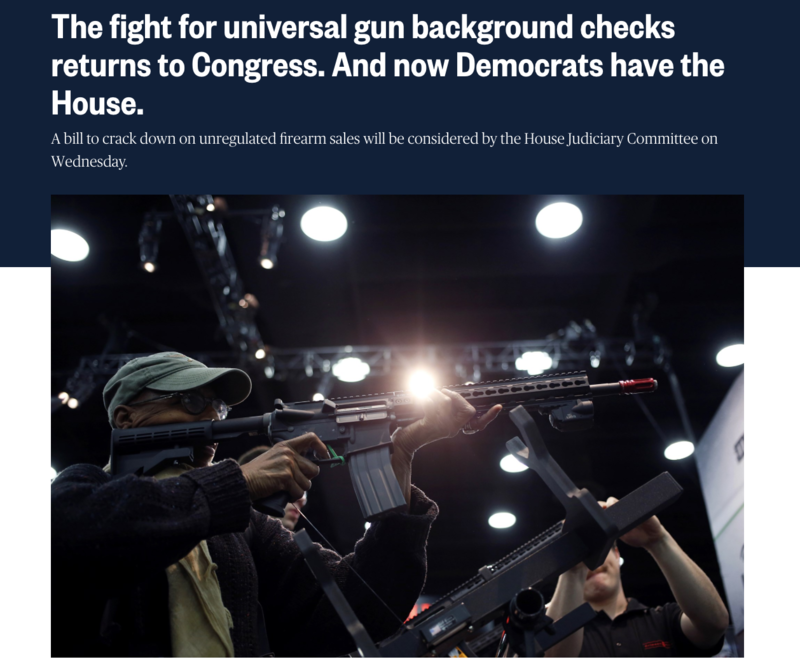 Then, the commie Dems get the house and all of a sudden there's a possibility more gun control laws are going to be passed? WTF? who are these traitors in congress trying to kid, these gun control laws require republican support to pass. Well said. This is the only liberty that gets such abuse.